Chichester Photographer, Scott Ramsey Photography, is a professional commercial photographer who specialises in creating storytelling photographs for businesses in Chichester and the surrounding area. Specialising in photographing people and documenting their story his style of photography is often in high demand by local business owners and organisations who need a set of professional photographs that connect with their customers and promote their business, products, services or event. I love exploring Chichester with my camera, I took this photo of a lady just after she had walked through a stone archway in the Cloisters of Chichester Cathedral. Photo © Scott Ramsey. Chichester is a beautiful Cathedral city, and I'm often found wandering its historic streets taking photographs, even on my day off! Just a short drive from my office in East Preston, over the years I've been lucky enough to have photographed some of the key events in the city, the day Prince Harry and Meghan Markle visited was fantastic, and also work with many of the local independent business owners. I take all my photos on location which my clients love, and I specialise in creating eye-catching photos for a business's website, blog and for use across their social media accounts and in company brochures. My work is varied, so one minute I could be taking an interior or exterior property photo, a staff headshot or a set of product images. Either way, it's great fun and very rewarding especially when I get reviews like this. Rosie Freshwater, co-founder of Rume2. Head over to my blog to see the photos. I offer the following professional photography and visual content creation services in Chichester, West Sussex. All the photos are taken on location, fully edited and supplied via digital download or on a USB stick (for an extra charge of £25.00) as either High-Resolution or Website Ready jpg images. I also shoot short promo and marketing videos ideal for use on websites and across social media platforms. Please call me on 07717134449 or send me a message via the contact form below for a free initial consultation and quote. Social Media Photography - Engage with your followers on Twitter, Facebook and Instagram with a set of creative photos. Website Photography - Don't use average stock photos. I'll create a set of photographs that tell the story of YOUR business. Storytelling Videos - 2019 is all about video. Using my creative skills, I'll film a short video to help promote your business, organisation or event. Commercial Photography - From staff photos, internal and external property pictures to products and "working" photos. I've got you covered. PR & Editorial Photography - I've over 30 years of experience covering editorial photo shoots and PR assignments, heck I've even won a couple of awards for my work. Here’s a collection of press cuttings that show some of the photos I’ve created for my clients that have been used in local newspapers - great publicity for their businesses. Meet Scott Ramsey, photographer and visual content creator. Q: I need some photographs taken of my business how much do you charge? A: I charge by the hour, and as every assignment is different I offer a free initial consultation and quote service. Q: I know I need some photos taken but I'm not very creative so I don't really know what I need, can you help? A: Yes, I'll work with you to create a list of photographs before the shoot goes ahead and also liaise with you as I create the images on the day. Q: How many photographs will I receive? A: During the initial consultation we'll work out how many images you require, and my quote will include the processing of these images. During the photo shoot, I'll often take hundreds of different photos to achieve the images you require, and you'll choose the ones you require from this selection. Q: What happens if I've asked for ten edited photos but change my mind and want more? A: That's not a problem, I'll just charge you the extra time it takes me to edit the photos for you. A: Once you've agreed my quote I'll require a 25% booking fee to secure my services. 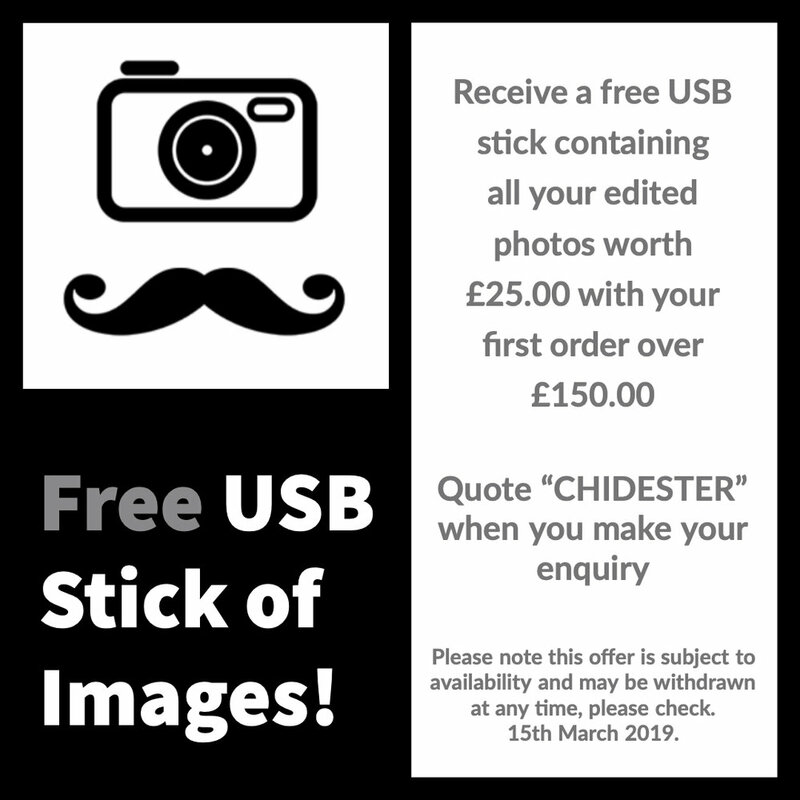 When your chosen images have been processed and ready to be delivered the remaining amount will need to be paid, and once received your photos will be delivered. Rume2, Chichester's brand new coworking space in Crane Street opened in January, and I was commissioned to photograph the launch party. I regularly cover photo assignments for the National Trust and early this year I was commissioned to photograph the Prized Possessions exhibition at Petworth House. Chichester came to stand still when Prince Harry & Meghan Markle visited the city. I spent the day photographing their visit, and this photo was used by the Daily Mail and a Japanese TV show. Whenever possible I like to support local people here’s Emily Penny with her Chidester Tea Towel she created for a Chichester homeless charity. I've lived and worked in the area all my life, so I know the city, and it's people very well, in fact, I started my career as an editorial photographer just down the road in Arundel 30 years ago, wow that makes me sound really old! Here's an interesting fact, did you know locales call Chichester, Chidester? It comes from the old dialect and fellow creatives, Brand Consultant Emily Penny and Graphic Designer Matt Burke, recently created the Chidester Tea Towel in aid of homelessness charity StonePillow. In a recent newspaper article, Emily said, “As a creative copywriter I am fascinated by language. I know people locally feel very fondly towards the Chidester name and I wanted to give it new life through a modern design." And here's a top tip if you run a local Chichester business - I highly recommend attending The Last Friday Club, it's a fab business networking group that meets up at various independent coffee shops and cafes in the city every month. Don't let the word "Networking" put you off, it's informal and fun, and I've met some great people there. So come along and try it out you won't be disappointed. Just be sure to say hello if you visit, you can normally find me chatting while enjoying a coffee. Need a set of creative photographs? Please call me on 07717134449 or send me a message via the contact form below for a free initial consultation and quote. Thank you! I’ll be in contact as soon as possible, if your enquiry is urgent please give me a call on 07717134449.